We provide a personalised commercial cleaning service to meet your budget, needs and schedule, so you will always get exactly what you want. You can be assured you will get a top drawer commercial cleaning service at an affordable price, from a company that takes genuine pride in every one of our cleaning contracts. 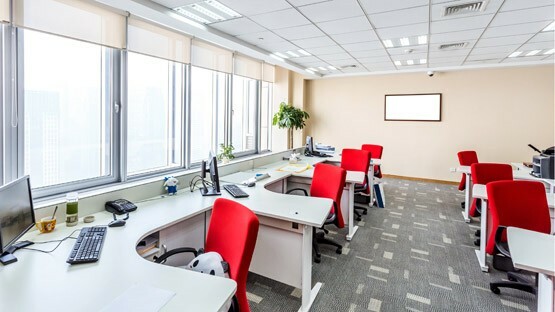 You want your office to sparkle and shine and be a place that is inviting for visitors, and a healthy place to work in. "The service we received was outstanding - efficient, thorough and fantastic value for money. 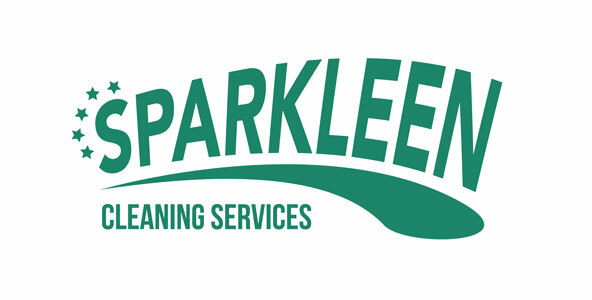 We have no hesitation in recommending Sparkleen to others." "Deciding to get a cleaner is one of the best decisions we've ever made - We really don't know what we'd do without Sparkleen now!" "Thank you so much Andrea and the rest of the team. You all did a fab job on my end of tenancy clean for the 4 bed cottage. So accommodating even at short notice. Would absolutely recommend and use again. Thanks again for taking the stress out of my end of tenancy!" "Fantastic service. I use Sparkleen all the time. A professional job is always done. Thank you so much for all your work." "Thank you to Andrea and her team of cleaners for providing excellent services, she goes beyond cleaning, she is caring and considerate and cheers me up every time she visits." "Andrea has been cleaning and servicing our flat in Leeds for a couple of years now. She is friendly, reliable, efficient and extremely good value. Highly recommended." "Andrea and her team did an absolutely brilliant job of our end of tenancy flat clean - was worth every penny and meant that we could concentrate on getting our new home unpacked." "Thank you Andrea and her staff for a fantastic service. Nothing is too much trouble and all tasks are completed with professionalism and efficiency. I have no problem recommending Sparkleen." "I don't know what I would do without Andrea and Dean. I don't know how I managed before, and look forward to Wednesday's when they come to clean. We have a right good natter too , I look forward to seeing them both!" "I have been using Sparkleen cleaning and ironing services for over eight years. All work is first class. Carried out with a cheerful, friendly and professional attitude. I would highly recommend this company." We will only ever provide professional, experienced, and reliable cleaners. We provide fully insured & experienced staff, at amazing value for money. Our cleaners are English speaking, have been DBS checked & carefully vetted.